To read more of what SPABREAKS had to say about Sinead's Mentoring and Guidance Programmes, follow link here. Sinéad's Mother and Baby treatment was featured in this months issue of Baby London magazine. "Sinéad had a great energy to her and I felt instantly safe in her hands. When she spoke to me about what she could ‘see’ while she worked on me, her visions were uncannily accurate, her words of wisdom inspiring"
"After reading my body like braile, I’m impressed by what she picked up. It’s so much more in depth than your average consultation, and a rather brilliant display of her skills, inspiring confidence about the treatment. What’s interesting is that when Sinéad focuses on each area, I notice a lot of related thoughts come up. Sinéad later tells me this is part of the process, that she is locating the stuck emotions and releasing them. Sinéad’s experience and expertise inspires trust, and her intuition or ‘gift’ is pretty impressive, even to a cynic like me. I’d happily go back for more." "A gifted Intuitive Counsellor who's insights are er, insightful!" Read this years Christmas issue of TATLER magazine where journalist Olivia Tanner talks 'Super natural healers'. "She is by far the only person who goes straight to the exact painful spot on my back without having me telling her what is going on. She used energy to realign mine, to stimulate the shift in my body, and to heal whatever was needed. In the end of the treatment, she told me everything she felt from my body and mind, and gave me some advices. Again I did not tell her anything and she was spot on. I felt so relaxed and recharged after her session, it was amazing." "Intuitive Specialist Sinéad de hÓra tells us how to develop our intuition to make better use of our gut feelings." "A truly holistic approach, I was so impressed by Sinéad's skills that I have been to see her a few times now"
- Click image for more detail. "A lot of what Sinéad said struck a chord, and above all else the deeply personal side to the therapy made me feel very relaxed and cared for, surely the ultimate goal with any treatment"
- When Editor of Professional beauty and wellness magazine, Eve Oxberry, visited Sinéad she was amazed with Sinéad's powerful intuition and accuracy of her readings. "Sinéad automatically picked up on some very key things that were going on in my life. I was quite amazed to be honest as they were all things that she could not have guessed and I definitely hadn’t told her. Sinéad definitely has a gift, she is a true healer and you can’t help but feel relaxed and peaceful in her presence." 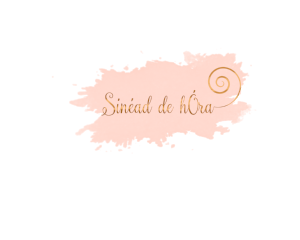 - Read what health blogger from Listen Up Beautiful had to say after experiencing a treatment with Sinéad. "Sinéad practices Intuitive Therapy at Akasha Health and wellbeing centre in Hotel Cafe Royal - Tres Magique!" Read what Air France Madame magazine had to say when experienced Intuitive Healing from Sinéad.